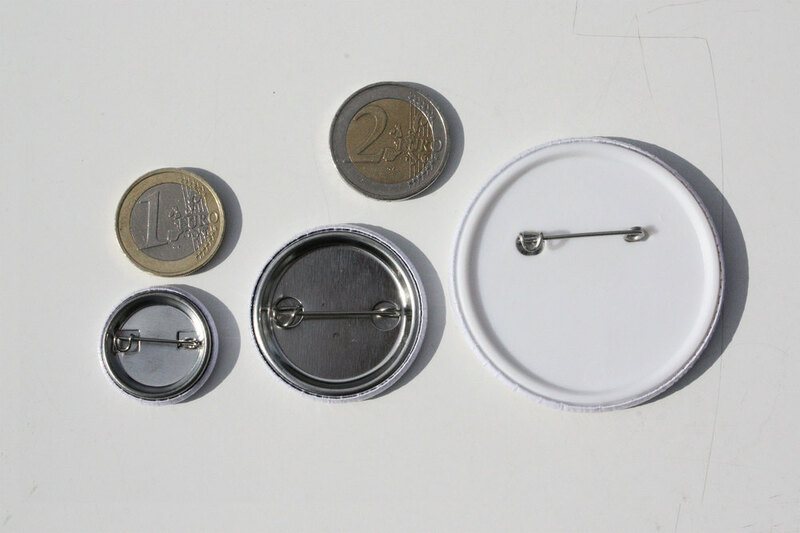 25mm & 38mm badges with metal backs. 58mm badges with plastic backs. Please note the minimum order quantity for 25mm and 38mm badges is 200. For all other products the minimum is 100 units. Postage within Ireland is free. Orders are sent with An Post and turnaround time is approximately 10 workings days (2 weeks) for most orders. This can vary depending on the volume of work at a given time. If you require your order for a particular date please advise of this when ordering so that we can advise accordingly. For postage costs on international orders please email badgemaking@gmail.com. If you need some help with creating your badge artwork a design service is available for a small fee. Prices will vary depending on your requirements so please get in touch to let us know what you are looking for. If you are creating your own artwork please use one of the templates provided. It is important to ensure you have read the artwork specifications so that your artwork is setup correctly for printing. Please use the contact form to place your order.